The Mayor of London has consulted on the draft Sports for All of Us: London Sport Strategy, which closed on 12th October. Community youth organisations are an important vehicle for engaging young people in sport and physical activity and encouraging social integration. It is vital to ensure that funding and support is available and accessible to smaller community youth organisations. Local organisations that have proven programmes and existing relationships should be supported as a priority. The Mayor and the GLA should support community youth organisations to partner with businesses, local authorities, and schools and colleges. It is vital to invest in positive, high-qualities activities and facilities for young people and to support training and development of youth professionals. We have compiled this response based on discussions with London Youth members, Coram’s Fields, London Basketball Association (LBA), Mary’s Youth Club, and Pro Touch SA. Thank you to everyone who was involved in the member consultation session and to the GLA’s Sports Team for attending and engaging with us directly. The core of the strategy is the new £8.8 million Sports Unites programme (p. 22-26). 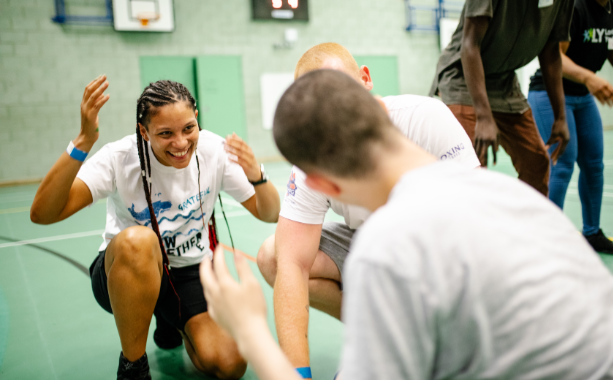 The community sports programme will invest in initiatives around London that use sport to bring people from different backgrounds together, strengthen local communities, and improve the physical and mental health of all Londoners. The funding will be distributed through a mix of traditional grants funding, as well as a focus on making ‘bottom-up’ funding available to local communities.